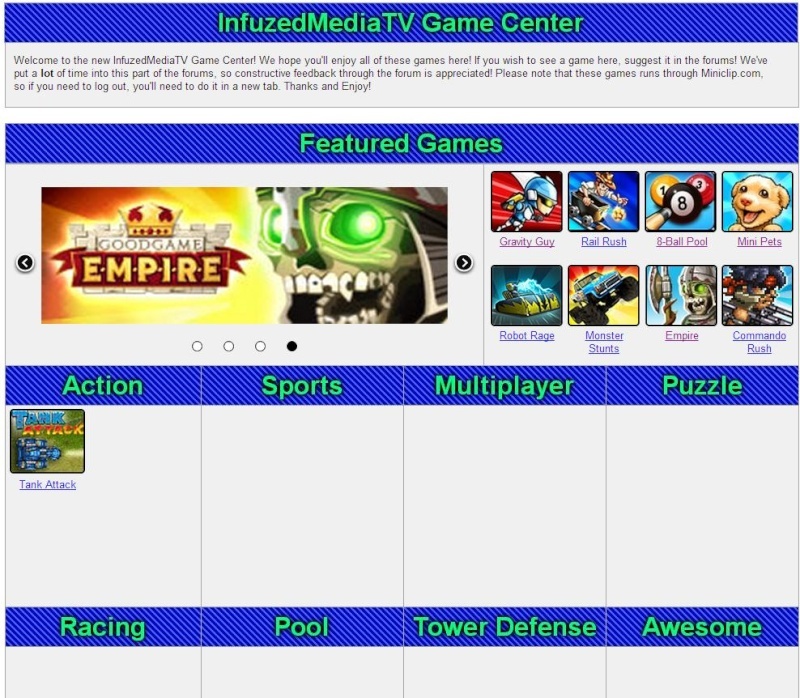 InfuzedMediaTV » Rules and Announcements » Announcements » General Announcements » Game Center! While we modify the game directory, you can play the games now. Refer to this post for the game directory until we get the one we're working on posted online. Cheers! This list will be updated with more games shortly. We're working on embedding the games and adding them to our directory that will soon be published within a week. Thanks! The game directory has been finished! More games have been added! Please leave feedback as we have spent a lot of time on that section of the forum. Thanks!